Do you want to run Android apps on your computer? Do you want to play Android Games on your computer? 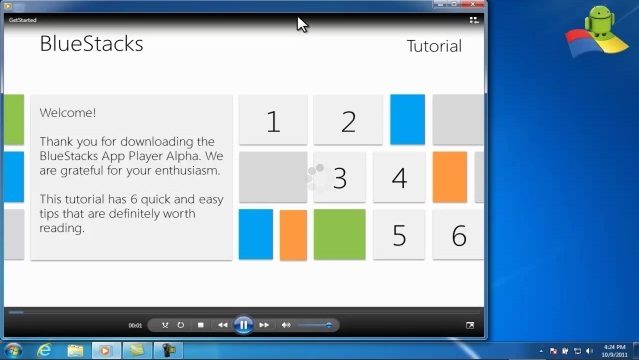 Its very easy to run Android apps and play Android games on Windows. You just need to install and use Bluestacks. 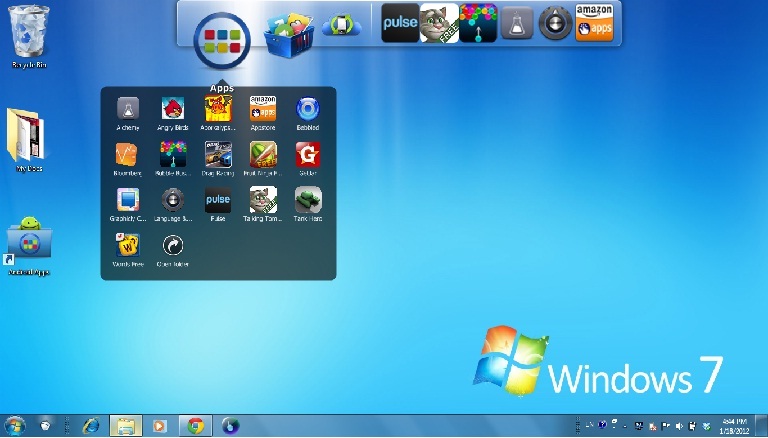 Bluestacks is a small software that lets you install and run all the available Android apps on your computer without the need of any Android device. You will need to use mouse and keyboard to run the Android apps and to play Android apps on your computer. If you have one of those touch enabled laptop or monitor, then its even better as you’ll be able to use the Android Apps just as you would do on an Android phone or tablet. First download BlueStacks from CNET. Once you have the setup on your computer, simply run it to install BlueStacks on your computer. Once the installation is complete, you’ll see a small introductory video. This video will give you an intro about using Bluestacks to run Android apps on your computer. You can watch it, or simply skip to the main Bluestacks launcher. 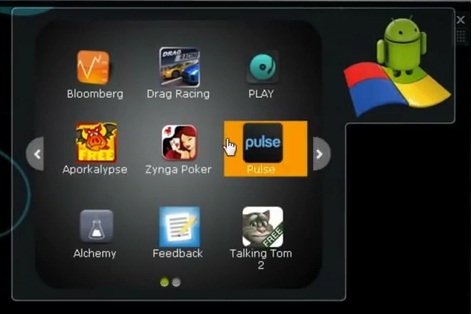 Once you launch it, you’ll see some default Android apps that comes pre-installed with Bluestacks. These include some of the most popular Android Apps like talking Tom, drag racing, words free etc. You can simply click on any of these Android app to run it on your computer. As explained above, you’ll need to use the mouse to navigate through the Android app. To install new Android Apps in the Bluestacks launcher on your Windows computer, click on ‘get more applications’ button in Bluestacks window to launch the Bluestacks cloud connect app in the default web browser on your computer. 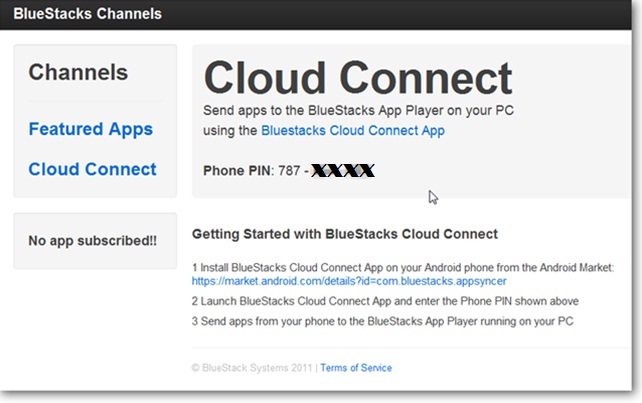 Follow the on-screen procedure to connect your Android phone or tablet with your computer using the Bluestacks cloud connect app and to get the 9 digit PIN for Bluestacks. 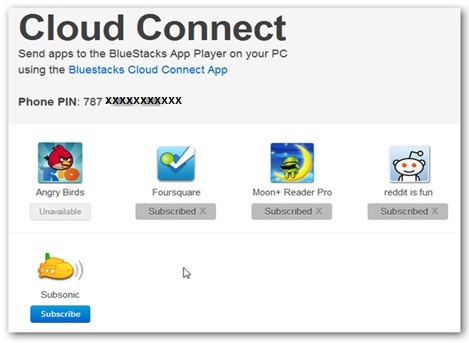 After installing Bluestacks cloud connect on your Android phone or tablet, launch it and type the 9-digit PIN here to complete the sync of your computer and your Android device. Now, to install any Android app on your computer, simply subscribe to an App in Bluestacks on your Android phone or tablet ad click on sync button. This Android app will then appear on Bluestacks launcher on your computer which you can run simply by clicking on it. 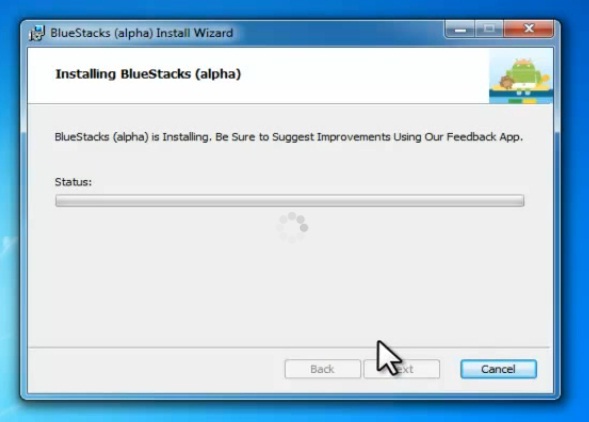 If you want to uninstall any app from your computer, simply unsubscribe to that app from the Bluestacks app on your Android phone or tablet. That’s it. You should be able to install and run any Android app on your Windows computer now. Also, note that at the time of writing, Bluestacks is in beta version. This means that some Android apps may not run properly on your computer and you may see some other issues while using it. But any bugs you encounter should be fixed in the next version of Bluestacks. We will update this post with latest updates about Bluestacks and also on how to install and run Android apps on your computer, so subscribe to Zoopable to stay updated.